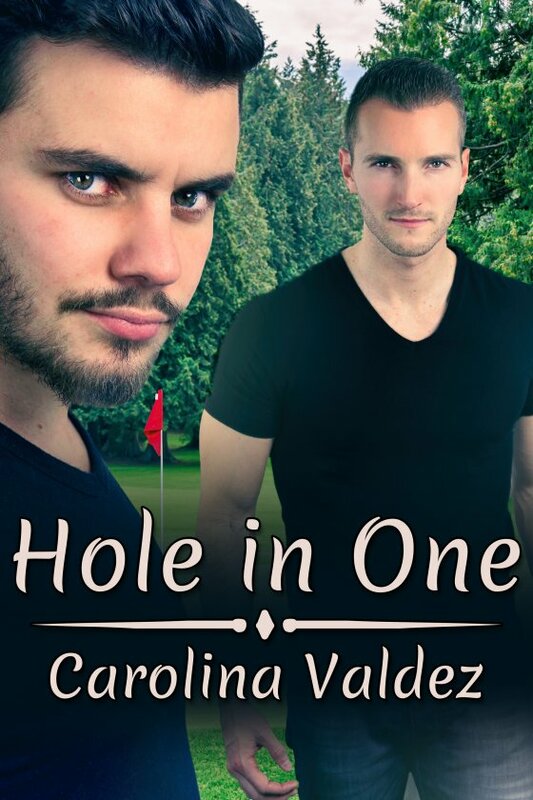 Hole in One by Carolina Valdez is now available! By day they had been fierce rivals in a collegiate golf competition, but at night, their passion sizzled under the sheets. After Team USA won, Rio “River” Vargas returned to his native Spain and Greg Thorenson headed back to his home in the United States. But when Rio didn’t respond to a letter he sent, Greg wasn’t sure if Rio’s silence was because Greg had beaten him for the win or because their affair had been only a four-night fling. Now professionals at the height of their game, they meet again as competitors in a major tournament in the California desert, where the prize of thousands of dollars is at stake. It’s been six silent years since those wild, hot nights as young men. Maybe for Rio that earlier passion had been an experiment, an aberration of who he really is and of whatever Greg may have meant to him. But to Greg, that earlier passion had been something deeper … he had fallen in love.